Chandra walked across the planes to Regatha. She stepped through a storm of fire into existence again on the rocky ground below the broad stone steps of Keral Keep. The sun was setting over the mountains, the smoke from the nearest volcano turning the sky a brilliant red streaked with orange. The heat of the day sank into her bones, a comfort after the dank cold of the Dominarian swamp. She took a deep breath of warm air tinged with a crackling energy like the aftermath of a lightning strike and felt all her tense muscles relax. She sighed and scrubbed at her face. I know it didn't look like it, Gideon, but I have a plan. She wasn't running away. Nissa hadn't run away either. You didn't have to leave like that, leave me, Chandra thought, her chest tightening at the memory of Nissa's furious expression. Nissa hadn't even given Chandra the chance to come with her. She knew how much danger Zendikar could be in from Nicol Bolas, how much Nissa wanted to be there to help repair the damage. But she acted like she never wanted to see me again, Chandra thought, and knew she sounded like an angry, jealous child. Well, that was part of the problem, wasn't it? You're not strong enough for this and you need to fix that, she told herself. From inside the monastery, voices echoed in an evening chant. She had arrived at just the right time; the monks would finish the ceremony and then sit down to dinner. It was a perfect opportunity. She climbed the stairs silently, slipped inside the shadowy hall, and took the first corridor. She reached an open court and had to duck down behind a stone bench as two robed figures hurried past. Novices, distracted by their studies and running late, something Chandra had had to deal with during her brief time as abbot. She waited until the sound of their steps faded then quickly crossed the court. It wasn't like anything would happen if they found her, Chandra just didn't want to argue about her plans. And they would see she was upset, know something had happened, she would have to explain . . . She didn't want to think about what had happened on Amonkhet, much less explain it. She needed more firepower, better focus and accuracy, to do real damage to Nicol Bolas. To get it, she had to be more in touch with her true self, or at least that was what they taught at Keral Keep. It was just that Chandra had never had any luck trying to do that. But for once she had stumbled on the perfect opportunity. Just after Nissa disappeared, Chandra had noticed fresh traces of a powerful pyromancer's aether trail on Dominaria. Possibly Jaya Ballard's aether trail. 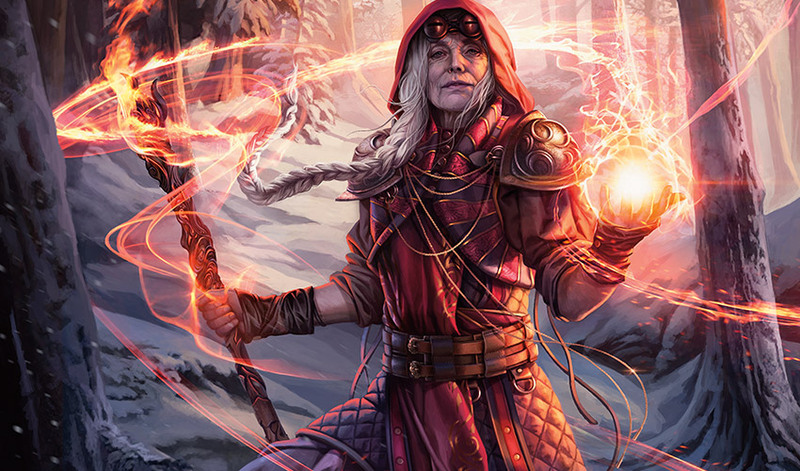 The fire mage Planeswalker hadn't been seen for longer than Chandra had been alive, and everyone at Keral Keep thought she was dead. But Jaya might be on Dominaria now, and if anyone could teach Chandra the trick to quickly getting in touch with herself and increasing her power, it had to be her. Once past the court she was in the lesser-used area of the keep and it was easy to hurry along empty passages to the stairway leading down. She reached the dark hall at the bottom and released a small ball of fire from her open hand. It moved up to hover near the vaulted ceiling, lighting the chamber. This was where the monastery kept its sacred relics, but there was only one thing here Chandra was interested in. She crossed the room to the plinth where Jaya's goggles sat. The light gold metal was just a little discolored, but the leather strap and buckle showed obvious wear. She'll want these back, Chandra thought, and they'll prove I come from Keral Keep. The gift would get Jaya to listen to her long enough for Chandra to explain how important the fight against Nicol Bolas was. And it wasn't stealing when you were giving something back to the person who had originally owned it. As she reached for the goggles, a voice behind her said, "Chandra, what are you doing?" 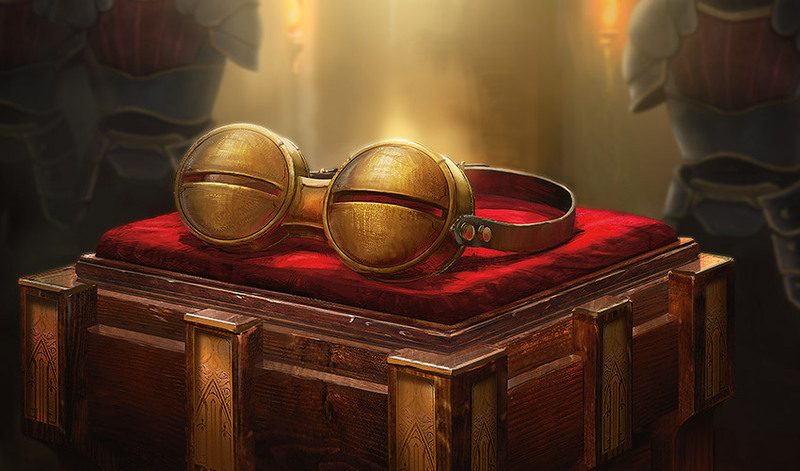 Chandra snatched the goggles, clasping them to her chest as she spun around. It was Mother Luti, staring at her from the doorway. Chandra yelped, "It's not what it looks like!" Of all the people who could have caught Chandra in the act, Luti was the absolute worst. She didn't have an official rank in the monastery, but she was old and had been living here off and on for forever and everyone respected her and she was always trying to get Chandra to learn things Chandra didn't have time for. Luti came toward her, her expression more bemused than anything else. "I have no idea what it looks like," she said. "What are you doing here? Why do you want those?" "I found Jaya Ballard," Chandra told her. Luti froze for an instant, eyes wide. The shadows from Chandra's fire light etched even deeper lines around her mouth and eyes, darkened her long silver-gray hair. "You . . ."
"I think she's on Dominaria! 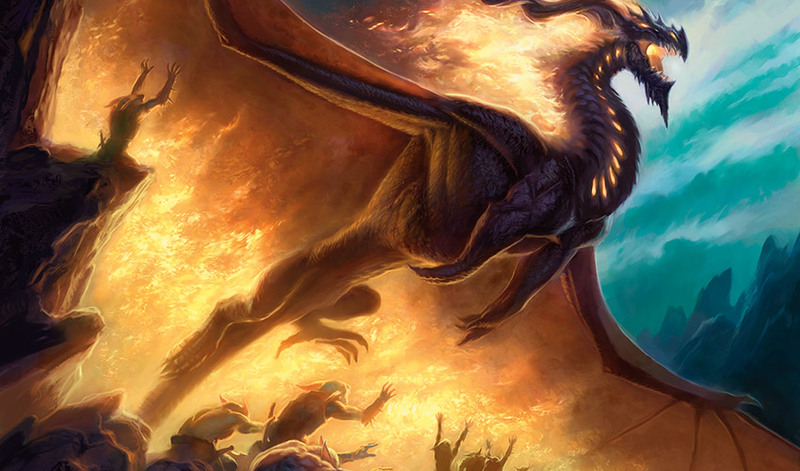 We went there after Amonkhet—it was terrible, Bolas nearly killed us all, and we failed . . ." Chandra lifted the goggles. "But if I can find Jaya, I'm going to give her these, ask her to teach me the secrets and tricks I need to know! I have to do this, Luti, I need more power to fight Nicol Bolas. Otherwise we're going to lose, he's going to kill me and all my friends, and then—" She waved a hand and the fireball floating overhead danced wildly, mirroring her agitation. "There won't be anybody left to stop him." Luti let out her breath. "Chandra, you don't need Jaya. You should be concentrating on helping your friends, if they're in so much danger." "You don't know what I need!" Chandra burst out. All the frustration and fear of the hopeless battle against Bolas, of Gideon taking Liliana's side, of Nissa's abrupt departure, it all boiled up at once. "You weren't there! Stop giving me advice I don't need and don't want!" Luti gestured in exasperation. "Chandra—"
But Chandra had already turned, ghostly fire flaring up around her as she stepped out of the plane. This time, she knew exactly what she needed to do. Chandra followed the fading traces of what she hoped was Jaya's aether trail and stepped back into Dominaria. Cool air washed over her. She stood in an alley, surrounded by heavy stone buildings with crenellations and shuttered windows. She walked out of the shade into a sunny plaza, where people dressed in rough leather and muted colors hurried past. The sun warmed the stone cobbles underfoot, and it only felt cool because she had just been in Keral Keep's oven-like warmth. 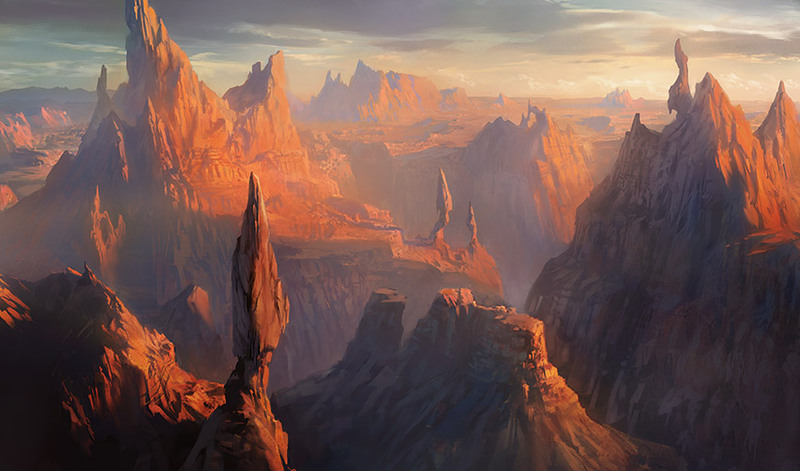 This place was Argivia, the capital city of New Argive, some distance west of Benalia and Aerona. All the passersby seemed nervous, and lots of people were hauling baskets of food, bags, barrels, and ceramic jars, taking it all farther into the city. Everyone seemed to be talking in loud, worried voices. Chandra ducked out of the way of a herd of goats and bumped into a woman carrying a basket. The woman stumbled and the basket tipped, spilling apples onto the cobblestones. "Oh, I'm sorry!" Chandra flung herself down and scrambled to pick them up. "It's all right." The woman knelt down to scoop the fruit back into the basket. She laughed a little breathlessly. "If it's the worst thing that happens today, we'll both be lucky, hey?" Fortunately, the crowd wasn't panicked and parted around Chandra and the woman like they were rocks in a stream. "What's all this about?" Chandra asked. The city was clearly preparing for something, but it was orderly and almost practiced, like everyone was used to it. "You haven't heard?" The woman dumped the last of the apples into the basket, and Chandra helped her lift it as they both stood. "I'm traveling, I just got here," Chandra said. As an explanation, it wasn't the best, but fortunately the woman was in too much of a hurry to question her further. She said, "Oh, it's the kobolds of the Kher Ridges again, and that horrible god-dragon of theirs, Prossh. They're going to attack the city, but Steward Baird's got a troop of soldiers and a powerful pyromancer to settle them. Hopefully this time it'll be permanent." "A powerful pyromancer?" That sounded promising. "Do you know who it is?" "No, never heard a name." The woman settled the basket on her hip. "If you're meaning to move on, you should leave soon. They're going to lock down the gates until the troop gets back." If the steward wasn't coming back until he finished off the Kobold threat, there was no telling how long that would take. Chandra had to go now. "Thank you!" she said, and plunged away through the crowd. The city gates were still open and quite a few travelers and traders were leaving, not wanting to risk getting stuck in the city. Some enterprising peddlers had set up shop there, and Chandra was able to buy travel supplies and a map before she started out. All the other horses and wagons and foot traffic were taking the northern road; Chandra was the only one going south toward the ridges. As she walked she could see signs that a large mounted force had recently passed this way. Hopefully she could catch up to the steward's party before the battle. If Jaya was really there, Chandra could volunteer to help, which would make an even better introduction than just charging up to Jaya and handing her the goggles. This is a great plan, Chandra told herself. And it's getting better all the time! A few days later, Chandra was starting to doubt a little. It was late afternoon and she had left the farm country near the city as the road gradually climbed into forested hills. Now she was walking through heavy forest, the road much rougher than it had been nearer the city. At least the weather had been good enough that she hadn't needed her tent, but she was worried about what would happen if she ran out of food. She still saw signs of the Argivian troop's passage, and had stumbled over a couple of their old campsites, but they were obviously moving much faster than she was. She had the growing feeling she had probably already missed the battle. She told herself it didn't matter; as long as she found Jaya, everything would go according to plan. She was trudging along, trying to dig the last piece of fruit out of her pack, when she spotted something lying beside the road. At first she thought it was more debris from the Argivians, a discarded or forgotten bedroll lying on the tree roots at the edge of the road. But a few steps closer she saw the outstretched arm and realized it was a dead body. A crash sounded in the forest, not far away. "Here we go," Chandra muttered to herself. Chandra stepped off the road onto the thick loam between the trees. Heading in the direction of the crash, she found a second dead body, another Argivian scout, this one killed by crossbow bolts to the back. She kept moving, following the sounds of scraping and pounding. She reached the top of a rise and caught movement out of the corner of her eye. She stopped and squinted, trying to pinpoint it. Then she saw the movement again. "Hah, there you are," she whispered to herself. Someone or something had just pushed the trunk of a fallen tree across the road where it curved around at the top of the hill. Now that looks like an ambush, she thought. There wasn't a lot of brush between the towering trees, but she still couldn't see who was up there moving around. She finally found a vantage point by climbing up among the trees at the top of a low hill. From there, she saw the kobolds. At least a dozen worked on each side of the road, short gaunt figures dressed in a variety of metal and leather armor and helmets, heavily armed with axes, spears, and swords. They were building a barricade across the road, probably meant to halt the Argivian troop and give the kobolds a chance to attack. The one Chandra guessed was the leader stood on a boulder, waving a sword and exhorting the others, "We will kill the Argivians for the glory of Prossh!" "Prossh loves us," the others responded as they dragged another fallen tree across the road. "We honor Prossh." 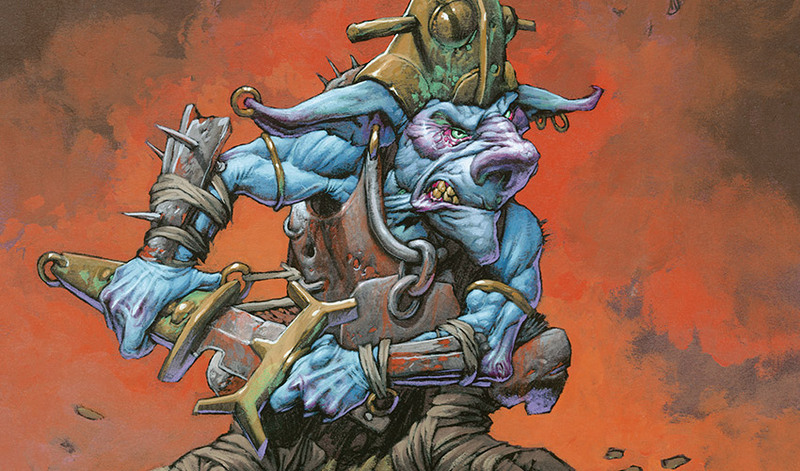 As the kobold leader continued to rant about Prossh's greatness, Chandra snorted. Since Prossh was a dragon, she was pretty sure he didn't care about the kobolds at all, except for how tasty they were. But the kobolds must have surprised the scouts—they knew the steward's force was headed back this way and would be here any moment. It was all really annoying. If not for the kobolds, Chandra might be meeting Jaya right now. Then two more kobolds rushed down through the trees from the south. They ran up to the leader and spoke, but it was too quiet for Chandra to hear. The leader turned and jumped off the boulder, hissing and gesturing at the others. "The Argivians draw near! Be ready!" 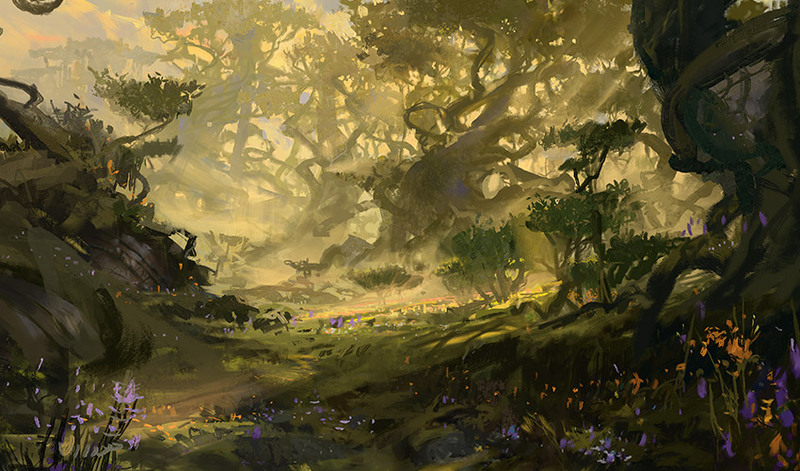 As the kobolds on the road ran for hiding places, Chandra eased away from the clearing. She was going to break up this ambush. She scrambled backward and sat up to turn around. And found herself looking down at two kobolds, carefully creeping up the hill behind her. One yelled, "Kill her for Prossh!" They both lifted heavy axes and charged. Well, damn it, Chandra thought. There went any chance of being stealthy and clever enough to impress Jaya, who was hopefully nearby. She would have to do this the loud fiery way. Chandra sent a fireball into the first kobold's chest and he tumbled back down the hill, screeching. The second one lunged at just the wrong moment and her fireball hit his ax instead of his body. He flailed backward as his ax handle turned to ash. Chandra took the opportunity to jump up and kick him in the face. He somersaulted down the hill to join his friend. Muttering to herself, "Don't burn down the forest," she bolted through the trees, headed toward the section of road where the kobolds had laid their ambush. The steward's party would be arriving any moment. Crossbow bolts landed in the ground near her feet. She spun and spotted three kobolds, running at her from the trees. She incinerated the rest of the bolts in mid-air and the crossbows for good measure, then charged out onto the road just above the point where the kobolds' tree trunks blocked it. Chandra drew on her power and held out her hands toward the makeshift barrier. One clean blast down the middle, she told herself, focused and controlled. And she thought wryly, Just like Mother Luti always tells you and you never listen. She sent the burst of fire streaking toward the logs. It hit dead center and slammed through all three trunks. Through smoke and burning fragments, Chandra got a glimpse of the road past the barricade, but she couldn't spot anyone approaching. She needed to make the opening bigger, to make sure the Argivians wouldn't be trapped. She sent another burst of fire, but then a lot of screaming kobolds charged her. She drove the first charge back with a stream of fire, fighting the urge to just blast them all. The last thing she wanted to do was set fire to the forest, endangering the nearby Argivians and whatever else lived here. But her temper raged as the kobolds charged again. A crossbow bolt tore through her shirt sleeve, narrowly missing her. The carefully targeted stream of fire turned into a wild blast that fried the half dozen kobolds in its path. Fortunately she had been facing north, away from the troop of Argivians who charged through the shattered barricade behind her at that same moment. The kobolds tried to regroup to fight the Argivians, but it quickly turned into a rout. Chandra stood at the side of the road and spent a few minutes telling herself that she had been completely in control and had meant to send that wild blast and knew it was in the right direction. Then she gave up and just hoped that Jaya hadn't seen it. Scanning the mounted Argivians, Chandra didn't see anyone who looked like she might be Jaya. She must be farther back in the troop, riding with the steward, maybe. Finally the few surviving kobolds fled and Chandra headed up toward the remains of the barricade, where the Argivian supply wagons were waiting. Some soldiers had started to haul the remains of the barricade away, while others shoveled dirt over the still-smoldering debris. A young woman hurried up to her and said, "Steward Baird would like to thank you." "Oh, right." Chandra followed her, her heart pounding a little with the thought of finally meeting Jaya. But when the soldier led her to where the steward stood beside his horse, there was no one who looked like Jaya. Chandra managed to contain herself and accept Baird's formal thanks without looking too impatient, but at the first opportunity she said, "I was looking for the pyromancer who's supposed to be traveling with you. Is her name Jaya Ballard?" Baird said, "Yes, that is her, but she left our force in the ridges." "Left?" Chandra could hardly react. It was a relief that she had been right all along, and Jaya really had been here. And it was horribly disappointing that she wasn't here now. Please, don't let her have planeswalked away already, she thought. 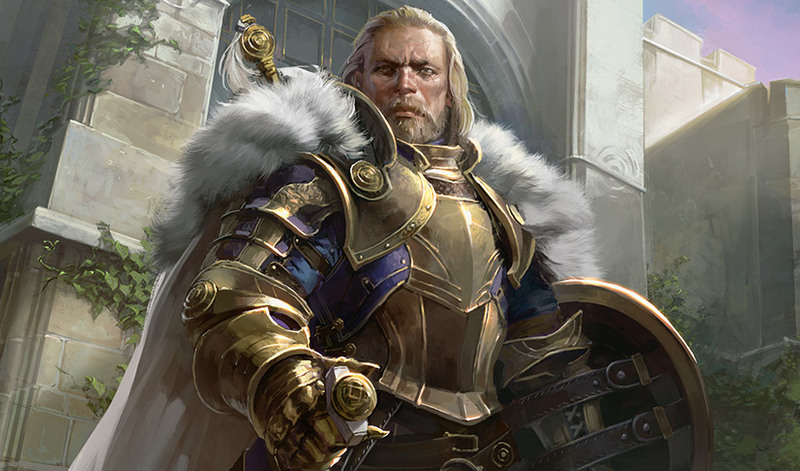 Baird explained, "She said she had come to Argivia looking for a friend of hers, and when she heard the dragon we were going to fight was on the way, she offered me her services." That was a relief. Chandra asked, "So she's going farther south?" Baird pointed up the road. "To the Yavimaya forest, I believe. It's just off the coast on the far side of the Kher Ridges." That was on Chandra's map. This road connected with the trails over the ridges and ran through to the coast across from the island of Yavimaya. "Thank you!" Chandra told him. "I should go. I want to try to catch up with her as soon as I can." Baird nodded to her and gestured toward the supply wagons. "If you mean to follow her, please accept some food and supplies from us. It's the least we can do in return for your help." Chandra started toward the wagons, then thought of one last question. "Oh, Steward? Who is the friend Jaya is looking for?" "I'm not certain." Baird shook his head. "She said it was someone who had been gone a long time." Chandra traveled for five days, out of the forest and past the end of the road, up into the rocky slopes and scrub brush of the ridges. She was careful with her food, though the Argivian supply master had told her she should have enough to reach the coast, and she refilled her waterskin whenever the road crossed a stream. The walk gave her plenty of time to think about what she was going to say to Jaya, rehearsing it over and over. It also gave her plenty of time to worry about Gideon and the others, and to miss Nissa. But she was sure she was doing the right thing. Going up what her map assured her was the last ridge, the trail became harder to see, and Chandra found herself climbing more than walking. Finally, she reached the top and stopped, breathing hard. The sea spread out below from a beach at the bottom of the ridge, the water serene under blue sky and white clouds. Directly across from her, maybe only a mile or two away, was another coast, so thickly covered with trees that the shore looked like a nearly solid wall of intense green. This had to be Yavimaya. Mist floated around shapes that might be small mountains or hills, but from her high vantage point on the ridge she couldn't see any sign that anyone lived there. No indication of paths or roads along its shore, no mark of civilization at all. Frustrated, she said aloud, "How am I going to find—"
Suddenly a whole section of huge trees on an inland hillside rippled and trembled, then waved back and forth as if a sudden wind shook them like children's toys. Carried on the breeze, Chandra distantly heard metallic banging and clanging, and something roaring faintly. "I guess that answers that question." Chandra started down the ridge, moving as fast as she could. Whatever was going on over there, it was a good place to start looking for Jaya. Below, in a cove at the bottom of the ridge, she found a small fishing village. An obliging though confused fisherman ferried her across the strait, and Chandra waded ashore to start her trek into Yavimaya. Chandra had thought the forest near the coast was thick, but the inland trees were huge, with heavy spiraling roots arching up above the ground. The leafy canopies turned the sunlight into green shadow, but there were colorful flowers everywhere. Fortunately, the ferny plants on the forest floor were low and easy to sprint through. Chandra drew closer to the noise until she reached the edge of a low, possibly unnatural valley. It was nearly round and the bottom was filled with a big, newly dug crater, surrounded by piles of disturbed earth. And the people who had done the digging were still there. At first Chandra thought she was looking at muscular giants in armor, but then she muttered to herself, "Oh, right, I get it." She'd been traveling alone for too long, because these were obviously automatons. They were each around twenty feet high, with scoops for hands and big blocky heads. As she watched, they stopped digging and climbed out of the crater to face the shadows of the forest. Chandra hesitated, but they couldn't be after her; they were facing the wrong way. Then she saw the forest on the far side of the crater was moving. The leaves and branches tossed like a harsh wind had passed through them. Creatures that looked like animate trees walked out of the shadows into the valley. No, wait, those are animate trees, Chandra thought, impressed. They dragged themselves along, clots of dirt falling from their root bundles. Some were big, with trunks divided almost like legs, but others were smaller and crept out of the underbrush, moving their lower branches in a way that was far too giant-spider-like for Chandra's comfort. She wasn't sure what was about to happen—if it was a battle, a standoff, or a meeting. Then suddenly a tree surged forward so fast Chandra yelped involuntarily. It leapt on the nearest automaton and ripped it apart. Chandra gasped in astonishment as metal parts flew into the air and rained down on the dirt. The other automatons rushed to attack and the enraged trees lunged forward to grapple with them. She ran toward the battle instinctively, but at the bottom of the hill she slid to a halt. She had no idea which side to take. She didn't want to end up accidentally fighting against Jaya's friends—that would be a huge disaster. Then a tree broke off from the battle and charged her, branches stabbing at her wildly. Reacting instinctively, Chandra flung a firebolt. It hit the tree dead-on and its branches caught fire. But even in flames it still came at her, bark and branches disintegrating, as if desperate to kill her. She hit it with another burst of fire just as a smaller, human-sized automaton reached her side. In a deep voice, it said, "Take care. They will attack any movement." More trees rolled over the hill like giant angry tumbleweeds, headed toward the automatons. Three veered off toward Chandra, accelerating as they got closer. Chandra demanded, "What are these things?" The automaton braced to meet the charge. 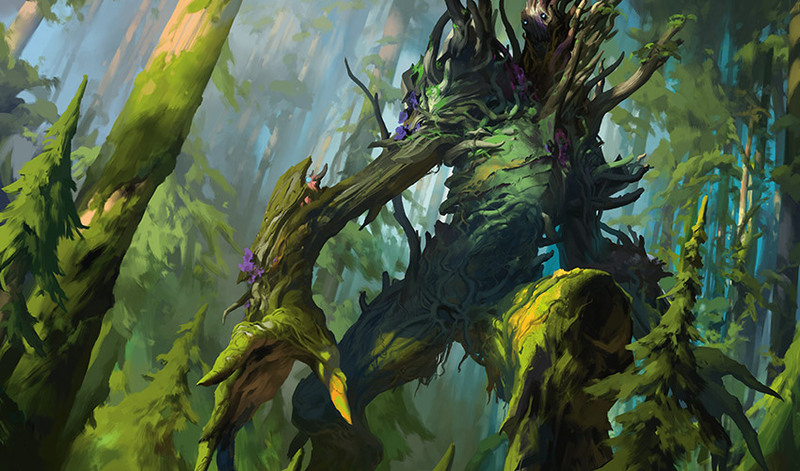 "They're animated trees, created and sent by Multani." Not people, then, Chandra thought. She drew on her power and blasted the rapidly approaching trees, aiming for the trunks. If they weren't people, she wasn't going to restrain herself. Then the automaton lunged past her. Chandra whipped around and saw a tree had crept up and was just about to slam its branches down on them. The automaton punched it in the trunk, over and over again, and splintered the heavy wood into fragments. 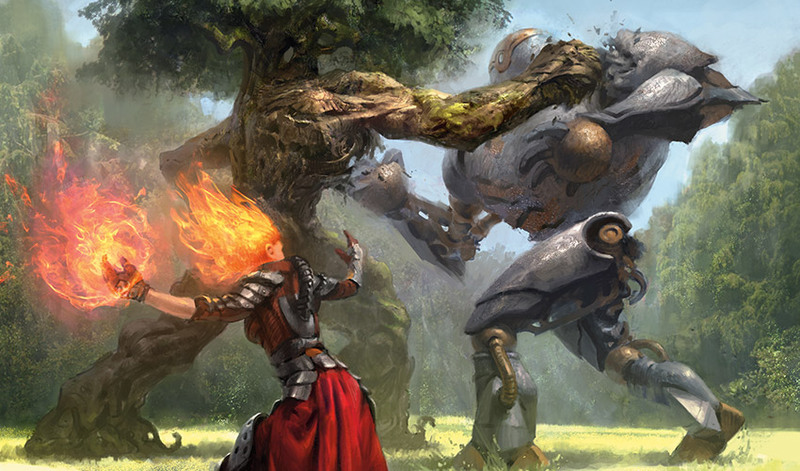 More trees slammed into the line of larger automatons and Chandra sprinted forward to get behind them. Two trees turned away from the automatons to rush her and Chandra blasted them out of her way. She reached a spot of higher ground where she had a better angle and sent a stream of fire down the whole row of trees. They didn't seem to realize they were on fire, and blindly shoved past each other to get to the automatons, spreading the blaze. Chandra blasted the last few stragglers and moved back down to level ground. Finally, she and the surviving automatons stood surrounded by piles of punched-apart trees and smoldering wood. Chandra rubbed soot off her face and dusted her gloves. She looked around and spotted the smaller automaton who had saved her. He was shoving a fallen tree away from the edge of the excavation. She jogged over to him. He straightened up and looked down at her. At that point, Chandra realized this couldn't be an automaton. His head and face were far more human-like than the others, more mobile. He said, "Thank you for your help." "You're welcome. Thanks for getting that one that snuck up on me." She thought it might take a little time to get used to his metal features. She could tell he was making expressions, they were just hard for her to read. "You said somebody named Multani sent them after you?" It belatedly occurred to Chandra that Multani might be the friend Jaya had come to meet, in which case Chandra had really screwed up her plan. The metal person said, "Multani is an elemental, and has been in a semiconscious state, recovering from terrible injuries. Animating these trees and sending them to attack us is an instinctive defensive action." That was a relief. Jaya probably hadn't come to meet somebody who was mostly unconscious. "I'm Chandra. I've been looking for Jaya Ballard, and the steward of Argive told me she was going to Yavimaya to look for a friend who was gone for a long time. You don't know who that is, do you?" The metal person tilted his head, and it was hard to tell but Chandra thought his expression might be ironic. He said, "I'm Karn. And I am someone who has been gone for a long time." "Is Jaya here—" Chandra started to say, then someone behind her said, "Well, fancy meeting me here." Chandra spun around. Mother Luti stood there, wearing a leather and metal jerkin over her red robes. 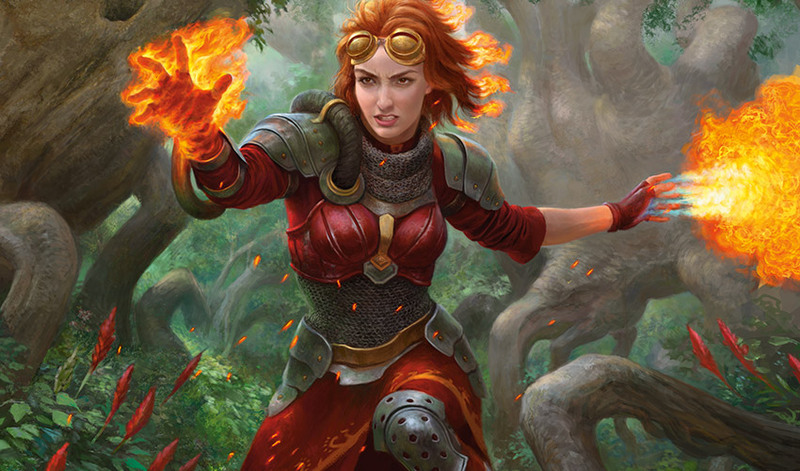 What's she doing on Dominaria? was Chandra's first baffled thought. Then, Hold it, how is she on Dominaria? She's not a Planeswalker. I didn't think she was a Planeswalker. "You can't be—How did—?" Mother Luti lifted a brow, and pointed to Jaya's goggles hanging from Chandra's belt. She said, "I believe those are mine."